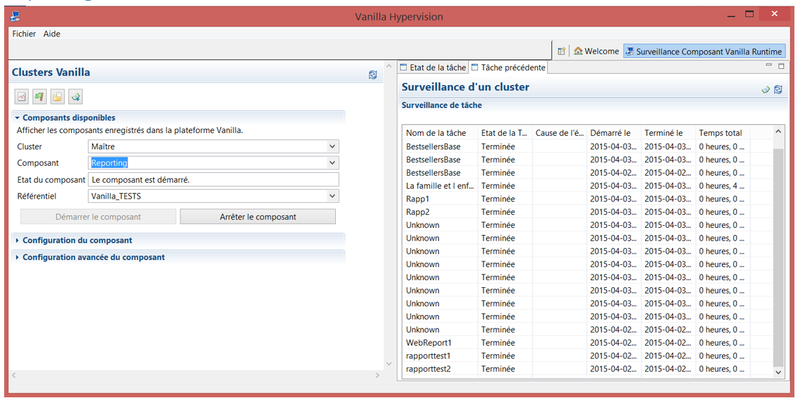 Hypervision is not really a new feature, as it’s part of our commercial offer since 2012.But it’s worth remining its existence, especially with rapid emergence of cluster of Vanilla servers in private clouds. 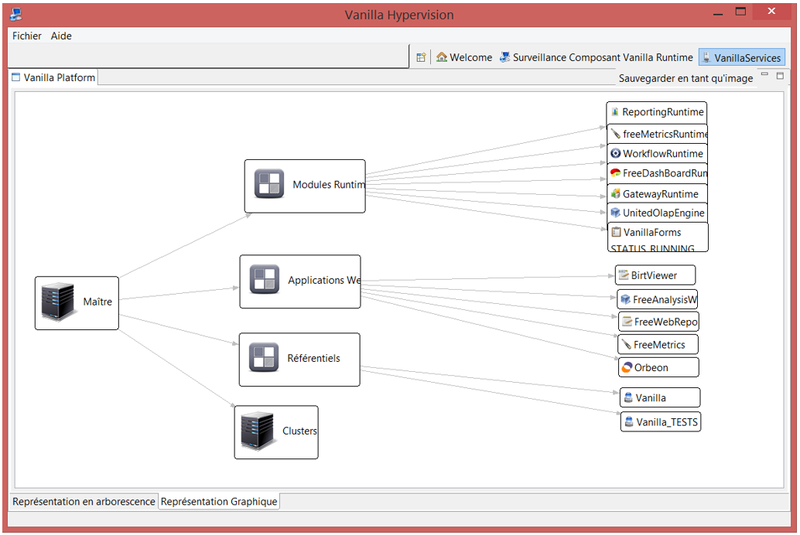 Since 2012, many customers have chosen Hypervision to manage their Vanilla platform, usually with multiples servers (Etl & WorkFlow server, Bi server, Reporting and Olap Server), and feedback on Hypervision usage is just crazy nice, as the package does its job, and do it very well ! 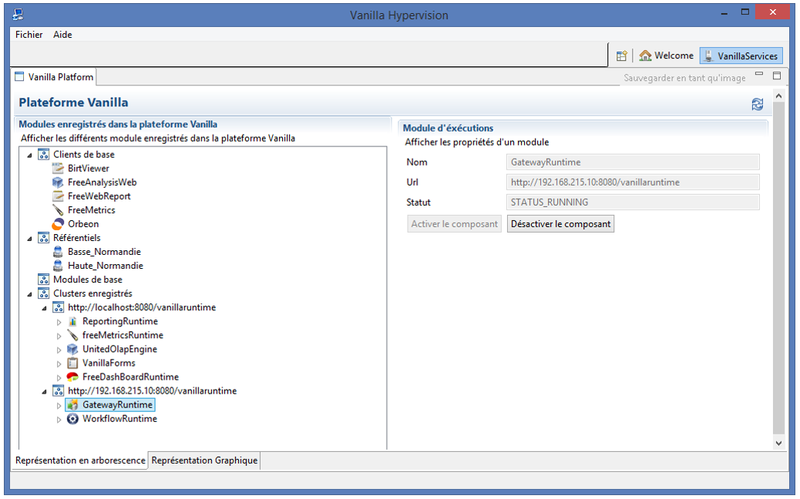 With Vanilla 5, Hypervision has been upgraded to support the lastest technical & interfaces features (Osgi Api upgrade, new features interfaces). As a reminder, please find below some key features of the package. 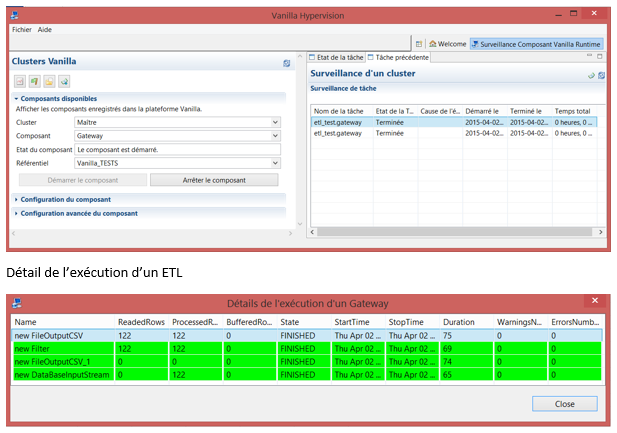 What is interesting to notice is those screenshots have been sent by Bpm-Conseil integration team, as they are using Hypervision on a daily basis to manage some customer platform. 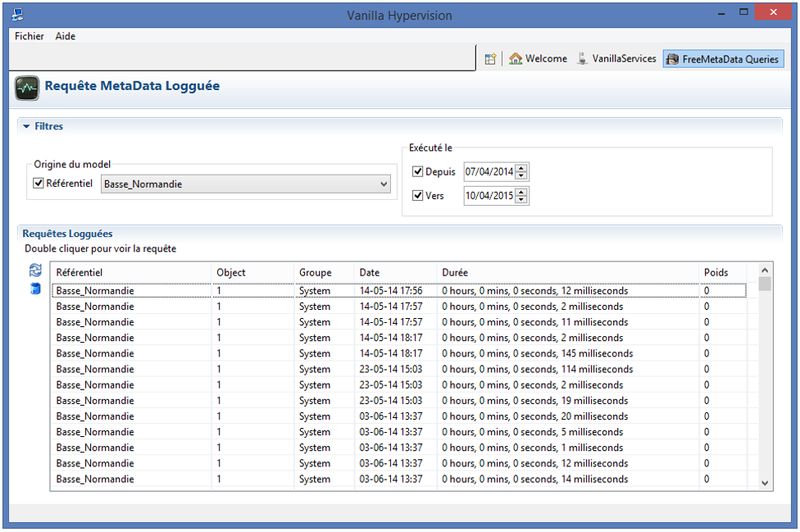 There is no package like Hypervision when it comes to monitor cluster of servers ! 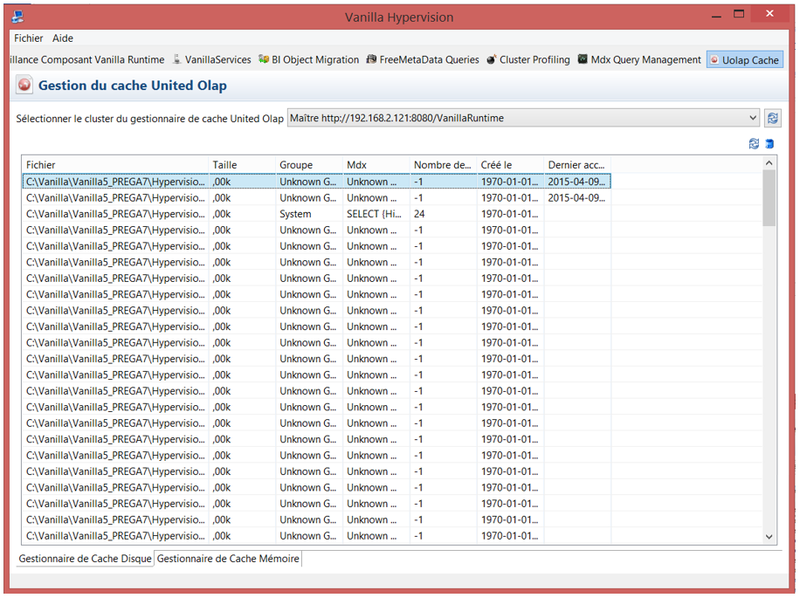 Vanilla Hypervision stands in this list of awesome package we provide to Admin team to help them in their daily job, managing process, configuration, testing & stressing cluster, clearing & refreshing caches, etc … once you start using Hypervision, you can’t stop using it ! 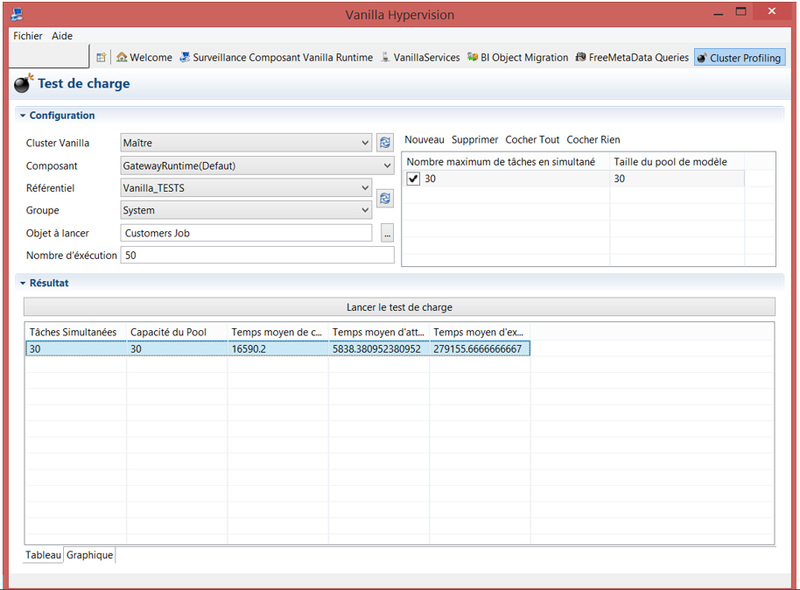 Running the FreeMetadata Requests Analysis (item 1) will display this interface – with a filter on date to reduce the number of entries – where you can view the convert sql statment issued against the database (understanding the document is based on a Metadata datasource). 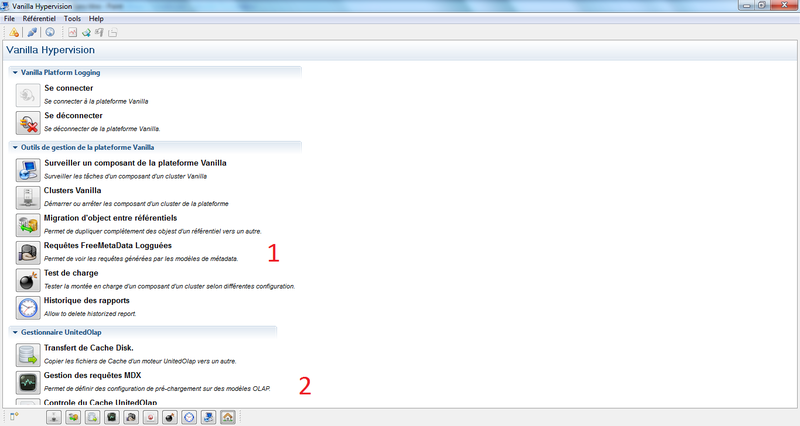 You can even detect some errors in the generated sql statment : this can occurs when you burst a report with groups that are not allowed on the document, when you have an issue in your filter strategy (you forget to set a where clause) or if your database has changed and a column is not available anymore). 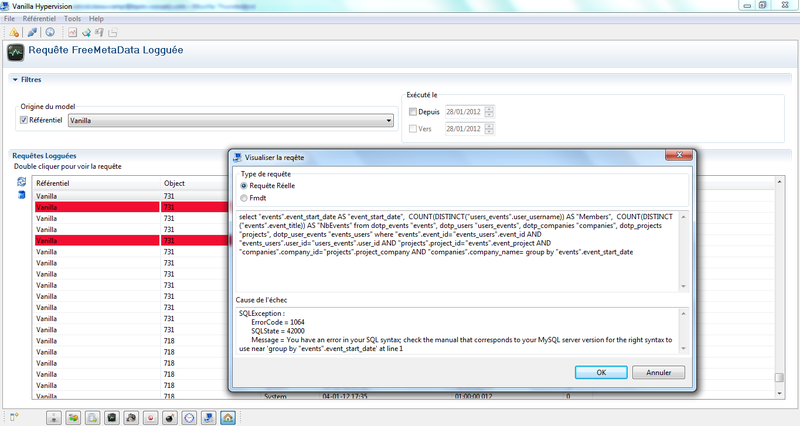 For each item, you can view which group ran the request and how much times it took to get the result from database. 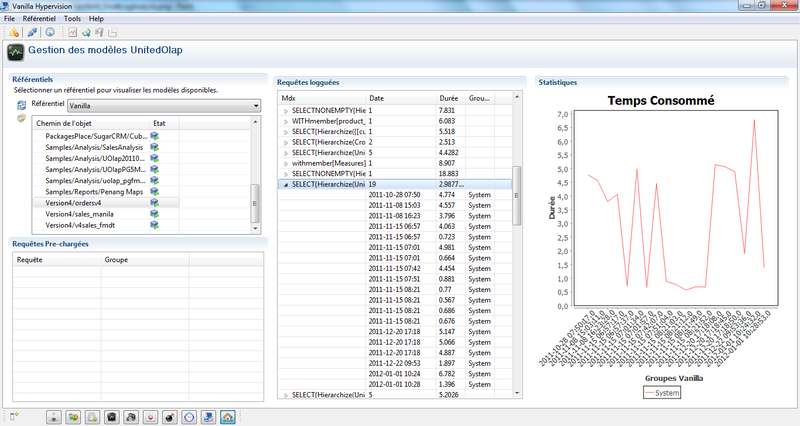 Running analysis makes sense only if you can manage the potential issues. 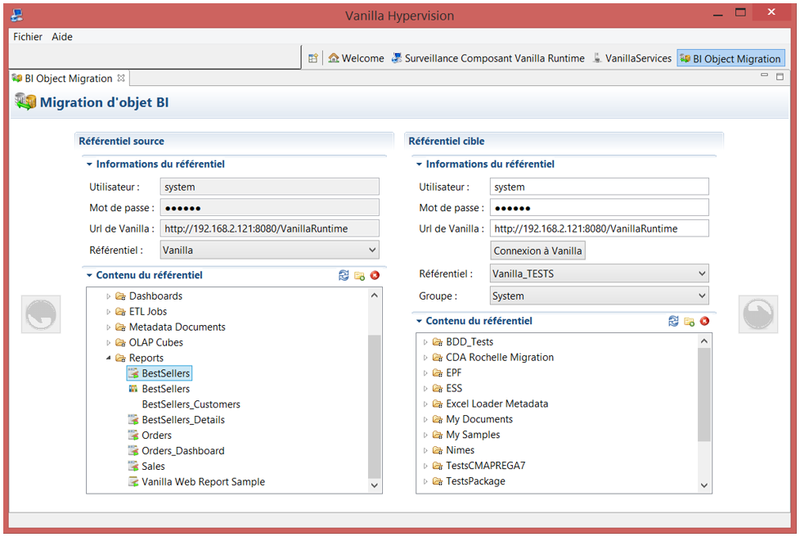 Using the Vanilla Admin interface, Bi developer and Admin person can enhance the Metadata document to improve sql statment, modify some join path with additional aggregate tables or even play with the cache manager to pre-cache the most popular dataset or datagrid. 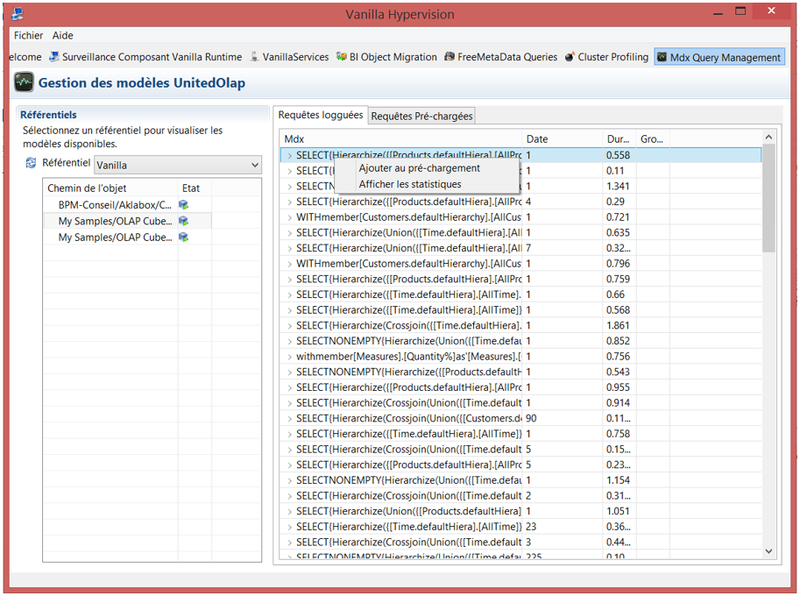 Vanilla Analysis features is a must, look around in your commercial experience … and think about a move to Vanilla, its time now !